This post comes from one of my good twitter friends, Max, known on twitter as Sky_Max. Max, a great lover of classical music sent this message to me about the great British conductor Leopold Stokowski, who just happened to be the fourth conductor of our Houston Symphony Orchestra from 1955-61. I loved Max' words so much I wanted to share them with you, and he has allowed me to. "For the last few months, I have been getting reacquainted with the “Genius" of Leopold Stokowski. When I was a college student in Philadelphia (mid to late '50s) I would attend the Philadelphia Orchestra concerts whenever I could scrape together enough money. It was there that I was acquainted with the Philadelphia Sound. Or more properly, The Stokowski Sound. 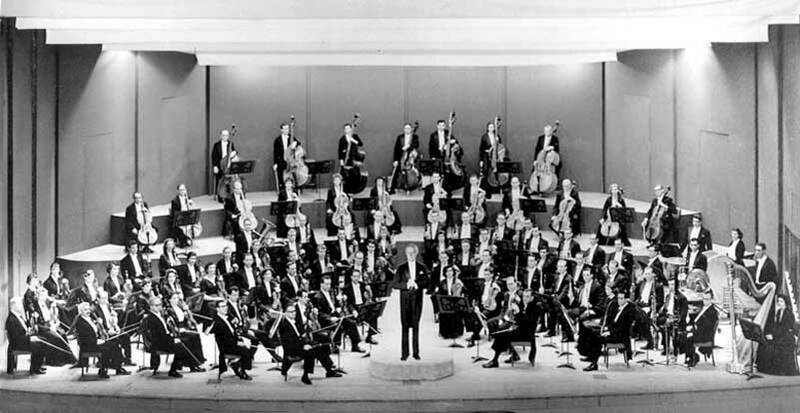 Stokowski conducted the Philadelphia Orchestra from 1912 to 1936. During his early tenure, he re-arranged the Orchestra's seating positions, instituted "free bowing" for the strings and ultimately the Stokowski Sound. A sound that is gloriously apparent, recognizable, irresistible, lush; with romantic strings. The sound of the brass also gleams. He took a liberal approach to the scores he conducted, rewriting the music to suit his personal tastes and to enhance effect he wanted. Stokowski paid attention to every little nuance of the music. During this time, there were many firsts: The first orchestra to make commercial recording via an electrical method (1925) the first to secure a sponsored radio broadcast (1929) etc. Following his resignation, Stokowski achieved one of the objectives which he had been seeking for at least a decade. The Orchestra Association Board agreed to a transitional tour before Ormandy took over the Philadelphia Orchestra. This would be financed by RCA Victor Records. Stokowski conducted 33 concerts in 27 cities over 35 days. Eugene Ormandy then continued on in what Stokowski started as the new Music Director in 1936 when he took over the orchestra from Stokowski. Between the two of them, they had a run of 68 year of conducting the Philly Orchestra! After Stokowski left the Philly Orchestra he had quite a few engagements. He went to Hollywood, created the American Youth Orchestra, The NBC Symphony Orchestra, the New York City Symphony, he married Gloria Vanderbilt, Conducted the Holly Bowl Symphony, The New York Philharmonic, made excellent recordings with the NY Phil., He made a monumental performance of the Mahler Symphony No. 8. Stokowski led the Philadelphia Orchestra’s in its starring role in Disney’s 1940 film Fantasia, in which he shook the hand of Mickey Mouse. He then went to Europe in 1950, and from 1951-1954 as guest conductor of orchestras in Europe and the US. In 1954 the Houston Symphony was looking for a new music director. So at the tender age of 73 he signed a three year contract with the Houston Symphony. 1959- Richard Wagner - Parsifal - Act III "Good Friday Spell, Symphonic Synthesis"
If you have ever heard any of Stokowski’s remastered recordings, you can immediately tell the difference in the Stokowski Sound. It is rich, lush, romantic and bursting with energy. He was a tough guy. He wanted it his way. He fired quite a few orchestra members of the Philly Orchestra and substituted them with Curtis Institute students in order to create the best possible sound. You either performed or you didn’t. Stokowski’s tenure with the Houston Symphony which began in 1954 came to an end in the 1961-1962 season. As in Philadelphia tensions came to a head with the Houston Orchestra’s Board and he left. The above recordings from the Stokowski era remain a timely testament to the orchestra's past glories. For me, I think he’s the greatest conductor of all time. I just love his music!" Max has told me some of Stokowski's most important works are his transcriptions and orchestrations. 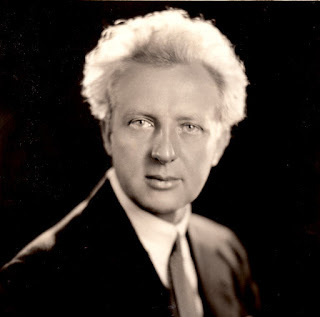 I found this web site devoted to that: "Leopold Stokowski's Transcriptions and Orchestrations" which has comments and a brief history by the Uruguan conductor and composer, Jose Serebrier. From that web site, Serebrier tells us: "On November 17, 1939 Stokowski and the Philadelphia Orchestra gave the premiere of Stokowski's orchestration of Modest Mussorgsky's Pictures at an Exhibition." ... "Leopold Stokowski was one of the twentieth century conductors most in tune with the compositional style of Mussorgsky, and was deeply read into Mussorgsky's scores. Certainly, it is the dark, Russian tone which Stokowski felt was essential and wanted to assure in his orchestration. Stokowski also revised sections of Mussorgsky's score to gain what he said in an interview was a more "Slavic" musical tone. Stokowski's orchestration, although not yet as widely performed as is Ravel's, is particularly effective in the orchestral representation of Mussorgsky's art." Also, from Leopold Stokowski's Transcriptions and Orchestrations: "From the start of his career, Leopold Stokowski was a great advocate of Wagner's music, which he conducted and recorded very often, and with which he had a special affinity. Tristan und Isolde was one of Stokowski's favourite works." ... "Stokowski's "symphonic synthesis" consists of Wagner's own concert version of the Prelude and Liebestod, interpolating between them music of the Liebesnacht from the second act. His intention was not to create a suite, but an extended symphonic poem, with the several sections moving seamlessly from one to the next, harmonically and thematically. Stokowski did not alter Wagner's scoring but limited his input to replacing the vocal lines with instruments, such as the cellos performing Tristan's lines at the start of Liebesnacht and the violins taking up Isolde's. At other times, Stokowski leaves Wagner's orchestral music alone, without the vocal lines, as Wagner himself had done in his own orchestral versions of scenes from his operas." 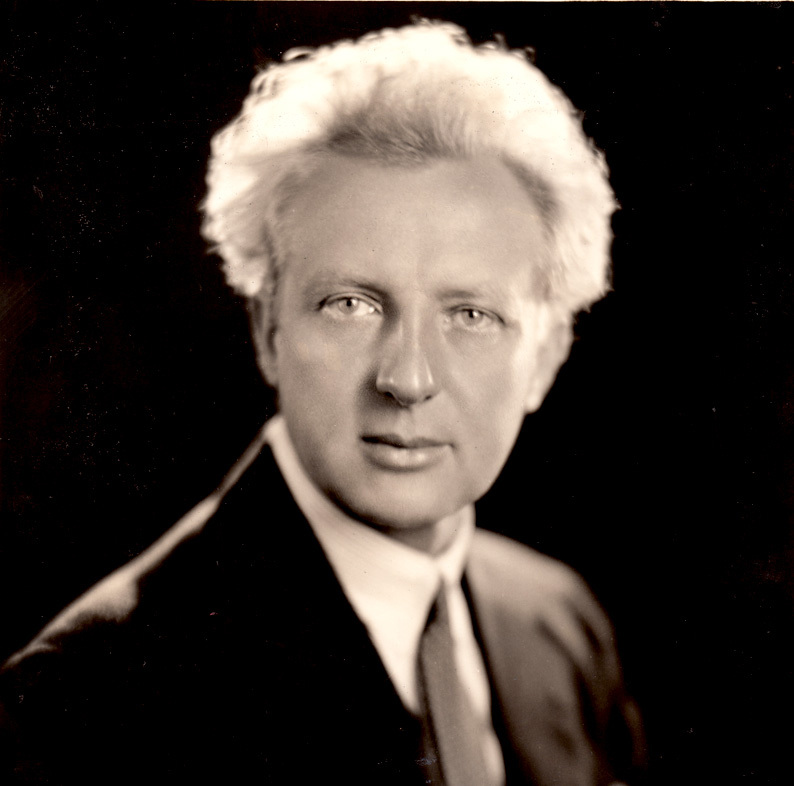 To read the entire article about Stokowski's transcriptions, please click here. Thank you, Max for introducing me more to the works of Leopold Stokowski. Now everyone please turn up the volume and enjoy some great music from the late great Leopold Stokowski. There are so many wonderful recordings and videos of Stokowski's great music [as a conductor or transcriber of other great composers' works], it was hard to just select a few. If you get a chance, maybe you can check some out mentioned in this article. Thank you, and thank you again, Sky Max, for doing most of the work in putting this article together about one of the greatest composers who has ever lived.